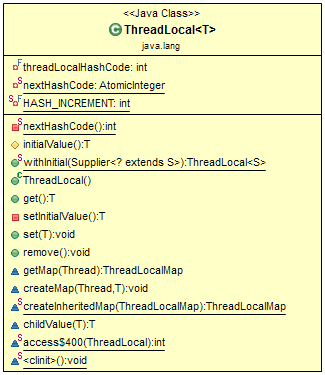 Java ThreadLocal is used to create thread-local variables. We know that all threads of an Object share its variables, so the variable is not thread safe. We can use synchronization for thread safety but if we want to avoid synchronization, we can use ThreadLocal variables. The TheadLocal construct allows us to store data that will be accessible only by a specific thread. ThreadLocal instances are typically private static fields in classes that wish to associate state with a thread (e.g., a user ID or Transaction ID). ThreadLocal() - Creates a thread local variable. T get() - Returns the value in the current thread's copy of this thread-local variable. protected T initialValue() - Returns the current thread's "initial value" for this thread-local variable. 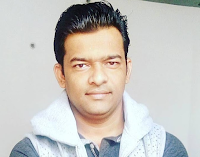 void remove() - Removes the current thread's value for this thread-local variable. void set(T value) - Sets the current thread's copy of this thread-local variable to the specified value. static ThreadLocal withInitial(Supplier<? extends S> supplier) - Creates a thread local variable. In this example, the class below generates unique identifiers local to each thread. A thread's id is assigned the first time it invokes ThreadId.get() and remains unchanged on subsequent calls. In real Java applications, we use ThreadLocal to store the login user Context instance. Each thread will have its own ThreadLocal instance. In our example, we have a dedicated thread for each particular userId and this thread is created by us so we have full control over it. Let's first create a Context class which contains userName. We can see that each of the users has its own Context.